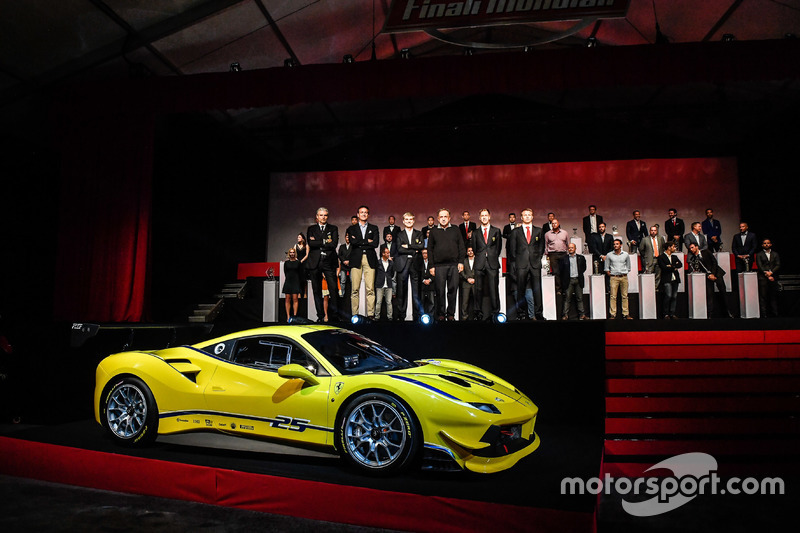 The 2017-spec 488 Challenge is the sixth model to participate in the Ferrari Challenge series which celebrates its 25th anniversary next year. 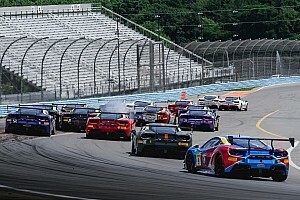 Since the announcement of the racing series in 1992, there have already been over 1000 races, with over 1000 drivers taking part in up to three series organised on three continents. 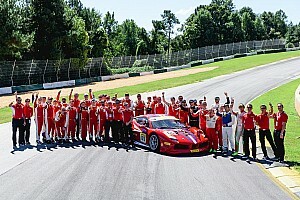 Over the years, the Ferrari Challenge has proved to be an ideal platform for drivers looking to compete in international GT and prototype championships, and an impressive number have gone on to win in Grand-Am, IMSA, the FIA World Endurance Championship and the 24 Hours of Le Mans. The 488 Challenge is powered by the 670 cv 3.9-litre V8 derived from the series production engine that took the overall 2016 International Engine of the Year Award. 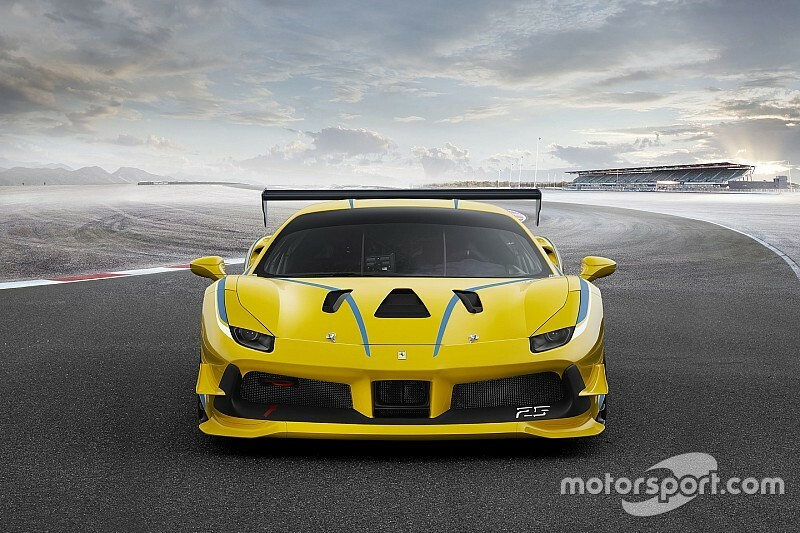 Following extensive development of the car’s engine, aerodynamics and chassis, the 488 Challenge reaches new levels of performance, chopping a second off the Fiorano test track lap time of the preceding 458 Challenge EVO for a new record of 1m15.5s. Compared to the production 488 GTB V8, the Challenge’s powertrain features specific engine mapping, optimised for racing performance, and shorter gear ratios. The variable torque management has been modified to prompt the driver to shift up at the ideal moment during longitudinal acceleration, thus making maximum use of the performance characteristics of the turbo engine. The F1 DCT transmission features a new racing shift strategy which enables the car to accelerate from a standstill to maximum revs in 4th gear in just six seconds. Further improvements include a reduction in overall powertrain weight. Ferrari’s patented Slip Slip Control (SSC) software makes its first ever appearance on a Challenge car. The SSC is integrated in the vehicle electronic dynamic controls and is calibrated, along with the traction control and E-Diff3, to improve turn-in, cornering and acceleration out of corners ensuring that maximum traction is ensured throughout. To enable Challenge drivers to tailor the car’s handling to their driving style to an even higher degree, the vehicle control functions (traction and braking) are now governed independently thanks to the adoption of three manettinos. One is dedicated just to braking, while the other two, set either side of the steering wheel, govern the traction control and electronic differential. These two manettinos regulate the two phases of traction control, meaning they work independently on when and how the intervention activation occurs. The right-hand manettino (TC1) governs ‘when’, in other words the point of intervention under acceleration. The left-hand one (TC2) instead governs ‘how’, controlling the degree of intensity of torque reduction as it senses the rear wheels spin. 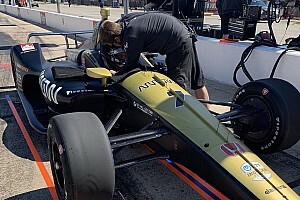 In such a race-oriented application, the combined action of the two regulations provides a greater integration between the driver’s expectations and the vehicle’s response, especially when referred to the varying conditions met during racing. As a result the average acceleration out of a reference bend (Monza) is improved by 11.6%, thanks to the better torque delivery controlled by the evolved traction control and differential. 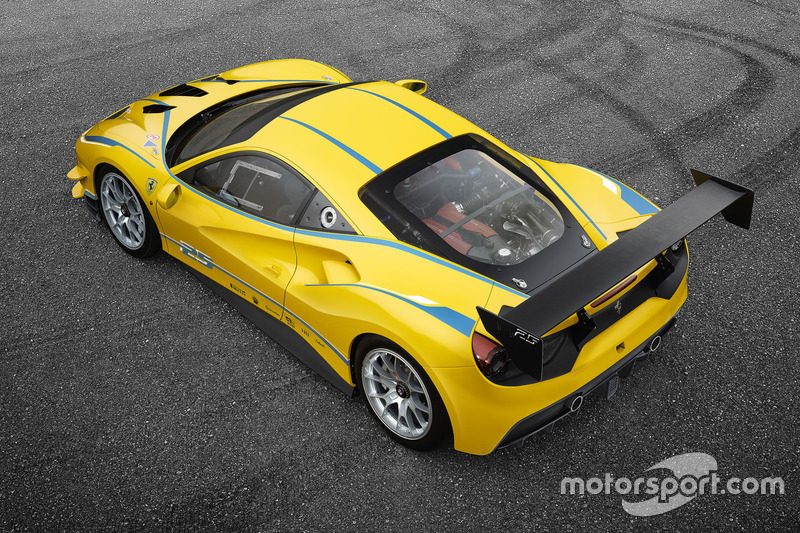 The most noticeable changes to the 488 Challenge compared to the production car regard the aerodynamics. To achieve the technical objective of increasing the car’s aero efficiency while respecting the design, the engineers worked closely with the Ferrari Styling Centre. The front radiator layout was reworked, inverting the rake so that they are now inclined towards the rear. This solution improves the air flow over the radiators in racing conditions whilst, at the same time, reducing drag. The new layout required new vents at the bottom of the bumper ahead of the wheels. The front bumper itself has been completely redesigned with a more pronounced splitter and flicks to increase downforce and balance the rear load, for a 7% improvement in efficiency compared to the 458 Challenge EVO. The front bonnet is all new with triple vents and integrated flaps to direct the hot airflow from the radiators rearwards. To increase stability at high speeds, the 488 Challenge features a bigger rear wing, with an air foil profile similar to that used on the 2016 FIA World Endurance Championship-winning 488 GTE, which alone increases efficiency by 9% compared to the 458 Challenge EVO. The intakes on the rear flanks now take cooling air to the rear brakes, optimising downforce, while the engine air intakes are now positioned laterally under the rear spoiler, taking advantage of the high pressure generated in this area.